Review: French producer 1977 aka Matsa, delivers a bold and subtle blending of ambient textures, deep pads and raw rhythms perfectly mixed with some minimal sequences. In Brief, a fine and complete piece of electronic music, made with constant attention to detail. Starting out with the hauntingly emotive ambience of "Tkg" where sub bass pulsations lurk between the crackling of surface noise, pitch shifted vocals and transcendental chilling pads, then the dusty and emotive deep house of "Soso" which is informed equally by Fred P as it is by the likes of Lawrence. On the flip, there's the rather Fred P sounding "Mondat" which is the highlight a smoothly emotive deep house number while "Toine" gets dubbier and subterranean in a way that UntilMyHeartStops fans will appreciate. Review: London label No More Dreams are back with more dry-as-a-bone techno reductions by Sweden's Axel Backman. 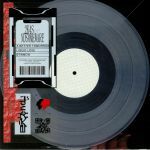 This will appeal to fans of Waveform Transmissions era Jeff Mills (particularly on the savage and cyclical grind of "93") or classic Regis and Surgeon. Shadowy British duo Rezzett get onboard for a remix of "94" on the flip , where the Trilogy Tapes affiliated artists replace the gutsy tribal stomp of the original with a deep and slow burning rendition that slithers away beneath dense tape saturation and hiss -much like a vivid dream sequence captured to VHS. Bold stuff indeed. Tip! 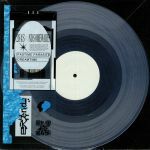 Review: Surface Records has never pulled any punches as one of the UK's toughest techno labels, and The 65D Mavericks have embodied the same spirit with their charged, lyrically provocative approach. After a lengthy hiatus label and artist are back in action, and sounding as fierce as ever. "False Prophets" is not for the faint hearted - an avalanche of thunderous drums and expletive-laden diatribes. "Cosmic Drift" is marginally more meditative, but still positively unhinged in its execution. "You Lost Your Mind" flails around a muddy, punky swamp of deviant sonic behaviour, and "Immovable (dub)" throws one last curveball into the long grass, stripping out the bark without losing the bite of this proudly individual group of techno marauders. Review: New label Tell Zero Records hits the ground running with a 10" ambient white label that really impresses. There is some lush, slow motion tribalism on the A side that dives deep into the exotic. On the flip, the second beatless journey features some sombre and evocative Olafur Arnalds style piano playing over some haunting field recordings assembled into a captivating collage. Review: You can always count on Afrikan Sciences to flip the script with what you think soulful electronic music should sound like. Tearing the grid up and pinging off on a cosmic voyage in between the notes, this is futuristic, jazz-minded machine music of the highest order. "Reciprocess" is a shuddering, but surprisingly focused exercise in cracking open the house music structure, while "Hullman Z" gets into a brilliantly futuristic boogie. "Just In Case I Do" takes a more laid back approach without eschewing the essential dose of freakiness, and "Son Shine" takes things in an explicitly broken beat direction with spellbinding results. Review: Chicago label Chained Library present some contemplative minimal noise experiments courtesy of the mysterious Agnes who presents the 012016002001 EP and it is mastered by the one and only Rashad Becker: which is fitting really. Fans of Becker's recent works will really appreciate these extreme and at times challenging sonic workouts on both sides, approximately 15 minutes each. Both extended pieces are reductionist electronic sound art at its finest. Very intrigued as to what this imprint is up to next. Review: Despite releasing a series of inspired, out-there 12" singles on Tabernacle, Offseason and Going Good, we're no nearer to discovering the identity of Anom Vitruv. In many ways, it doesn't matter. 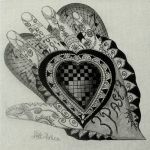 The music he produces - a ghostly blend of curious found sounds, crusty ambience, mawkish deep house and unsettling techno - seems to revel in its unmarked, untitled nature. This long player for Canada's Total Stasis continues on his now familiar theme, quietly shuffling between eerie soundscapes, experimental interludes, dubbed-out minimalist oddness (the weird but immersive "Track 3") and clanking, industrial house (the alien electronics and metallic percussion of "Track 4"). Review: Automatik-Datamatik is a label based in western Germany and founded in 2008 by Adalbert C. Kupietz. He would like to present you with this release, which is a tribute to his late father Leszek J. Kupietz. He was passionate drummer in the 70s/80s and is said to have toured intensively with his band all over the world. Although they never had the opportunity to collaborate directly, Adalbert had access to some of his recorded drum skills on this record. Electronically packed with analog synths accompanied by Leszek's Sonor drums. Used extensively on the album were PPG Wave 2.2, Fender Rhodes, Rhodes CHROMA, Hohner Clavinet, Yamaha CS-50VP-330 diverse ARPs, Korg and Roland Synths. Review: Speak to anyone who lived through them about the glory days of IDM and German producer Arovane (aka Uwe Zahn) is probably one of the first names they will happily reel off. Between the late '90s and his apparent retirement in 2004, Zahn was responsible for birthing a clutch of classic IDM longplayers like Tides and Lillies, the 2004 LP for City Centre Offices that seemed to signal his withdrawl from music. However, the production bug bit him again in 2013 and there has been a steady stream of Arovane output leading up to this Aarlenpeers EP. Issued on the Touchin' Bass label operated by self professed Arovan fan Andrea Parker, these two cuts bristle and pulse with abstracted electronic life in a manner one expects from Zahn. "Il_Eth" is quite epic. Review: Next up on Macadam Mambo, label boss Sacha has a special treat for you. As Longitude is the Berlin based synthesist and composer Eva Geist joined by Ondula, which started to make its place on the new electronic scene after brilliant releases last year on Mark Knekelhuis' imprint and an appearance on Ein Welt. Check out the tripped-out and low slung oddball groove of "That's When The Animals Turned Into Humans" on the A before flipping over to the hypnotic, brass-laden "Na Numbers" and venture further down the rabbit hole on the psyched-out vibe of "I Thought It Was Summer". This will appeal to fans of indie dance by the likes of Superpitcher, Moscoman or Red Axes. Review: James "ASC" Clements has built up a vast discography since making his debut 19 years ago, mixing atmospheric ambient and electronica albums with more floor-focused EPs that see him explore his own particular take on everything from IDM and experimental drum and bass to deep techno and more dub-wise futurist rhythms. This superb double-pack sits somewhere between the two schools, offering up epic, slowly unfurling soundscapes that fix his explorative, head-in-the-clouds chords and melodies to intriguing, club-ready rhythms. 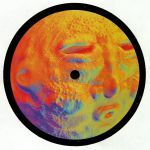 He opens with the IDM-influenced deep techno bliss of "Arrival", before exploring similar sonic pastures on the breakbeat-powered iciness of "Redshift". "Blueshift" is a brilliant 17-minute trip into broken techno/ambient techno fusion, while closing cut "Departure" sees Clements casually join the dots between dub space ambient and hazy dub techno. Review: Seb Gainsborough and Chester Giles' ASDA project has been one of our highlights over the last couple of years. Through their punky, deranged aesthetic, the duo have given new meanings to the spoken word disposition and, in the process, left the doors wide open for interpretation. The music scene needs that. We need that. It's as if their work has cleansed the air for us and taken our minds back to a time when genres weren't such a big deal; a palette cleanser, if you will! "The McDonald's Prayer" marks their second outing on for No Corner and, much like The Abyss LP, the tune blazes through poetry with disparate shots of bass and sparse percussion stabs. This is all rendered all the more special thanks to a remix from London's Japan Blues, whose remix duties ever since that pair of bruisers for Place No Blame have become household favourites of ours, and he's on form here; a lo-fi slew of bass moulds around hazy claps and peaceful melodies to create a masterful groove. Ossia comes in for the second remix, this time stretching the original out onto some vintage Metalheadz vibes... minus the breaks. Sick.